Show your support with the invisibobble SLIM Time to Pink Hair Tie, a limited edition version of the original design to support breast cancer awareness. 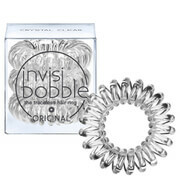 Perfect for any style or occasion, the bobble holds hair in place without the use of clips and pins. Fun and functional, its unique, ultra-comfortable shape prevents headaches and kinks, whilst its hygienic, non-soaking design and smooth surface means it stays dry even when worn on your wrist. 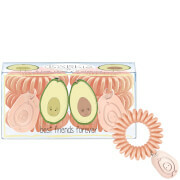 Can be used in wet or dry hair without tangling, allowing you to create any up-do you desire. From August to September, invisibobble® fans will decide on invisibobble.com/en/breast-cancer which initiative is especially important to them. 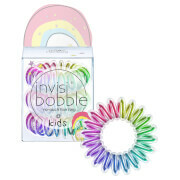 invisibobble® will donate 25% of its earnings from the Limited Edition Time to Pink to the organisation receiving the greatest number of votes.